A MAJOR NATIVE AMERICAN SITE IS BEING LOOTED. WILL OBAMA RISK ARMED CONFRONTATION TO SAVE IT? | "Global Possibilities"
Home » Environment » A MAJOR NATIVE AMERICAN SITE IS BEING LOOTED. WILL OBAMA RISK ARMED CONFRONTATION TO SAVE IT? A MAJOR NATIVE AMERICAN SITE IS BEING LOOTED. WILL OBAMA RISK ARMED CONFRONTATION TO SAVE IT? RIM OF CEDAR MESA, Utah — For centuries, humans have used the red sandstone canyons here as a way to mark their existence. First came archaic hunter-gatherers who worked in Glen Canyon Linear, a crude geometrical style dating back more than 3,500 years. Then about 2,000 years later, early ancestral Pueblo farmers of the Basketmaker period used more subtle lines to produce a man in headdress. A little more than 700 years ago came their descendants, who used the same kind of hard river stone to make drawings of bighorn sheep and a flute player in the ancient rock. Now, President Obama is weighing whether and how he can leave his own permanent imprint on history by designating about 2 million acres of land, known as the Bears Ears, as a national monument. And despite the uniformly acknowledged historical significance of the area, some people regard the conservation efforts by the White House as classic federal overreach. In the current-era conflict between Washington and rural Westerners, the idea of a Bears Ears national monument has produced warnings of a possible armed insurrection. In a state where the federal government owns 65 percent of the land, many conservatives already resent existing restrictions because they bar development that could generate additional revenue. Out-of-state militias came to San Juan County two years ago, when Commissioner Phil Lyman helped lead an all-terrain-vehicle protest ride through a canyon the Bureau of Land Management had closed to motorized traffic in 2007. Lyman is appealing the 10-day jail sentence he received in connection with the protest, and he argues that his case shows how BLM officials place the priorities of environmentalists over those of local residents. Should the government establish a national monument at this Utah historic site? “I would hope that my fellow Utahans would not use violence, but there are some deeply held positions that cannot just be ignored,” Sen. Orrin G. Hatch, the veteran Republican lawmaker, said in an interview. 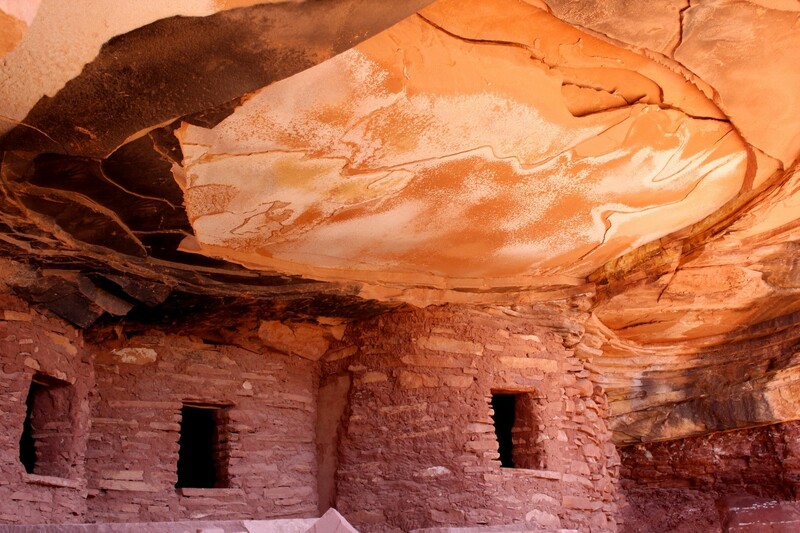 Cedar Mesa is one of the best preserved and most archeologically rich sites in the United States. The dry climate and rock overhangs have protected important artifacts for millennia, and there are tens of thousands of ancient objects and structures preserved, including ones in which the original wood beams in cliff dwellings remain intact. In a granary where the Pueblo people kept maize, a single dried cob lies on a dusty floor. But some lawmakers have suggested that unilateral action by the president, under the 1906 Antiquities Act, could provoke the same sort of resistance that led to the 41-day armed takeover of the Malheur National Wildlife Refuge in Oregon earlier this year. (R-Utah), who opposes the designation. Obama has approached the designation of national monuments as a way to bolster the country’s defenses against climate change and as a way to make the national narrative more inclusive, in addition to his obligation to safeguard the country’s national treasures. In the case of Bears Ears, there is no question that the area is imperiled by the kind of looting and pillaging that first inspired the Antiquities Act, as well as more modern threats, such as ATVs and motorbikes tearing through the desert terrain. There have been six confirmed looting incidents in the past six months, and at least two dozen over the past five years. In one, a vandal used a rock saw to remove a petroglyph; in one this year someone dug up a pristine ceremonial chamber, or kiva, that had never been professionally excavated. Although the BLM has allocated $400,000 over two years to stabilize 10 archeological sites and trained about 20 people to serve as volunteer “site stewards,” it employs just two law enforcement officers to patrol 1.8 million acres. But in the Bears Ears region, named for the twin buttes that define the landscape, and surrounding San Juan County there are competing claims to the land and its history. The area has been home over the centuries to Native American tribes, Mormon settlers who reshaped the land in the late 1800s and the energy prospectors, ranchers and thrill-seekers drawn to it today. All lay claim to pieces of the region’s past and all are determined to have a voice in its future. Chaffetz and House Natural Resources Committee Chairman Rob Bishop (R-Utah) have spent more than three years crafting a lands bill that affects seven counties in eastern Utah, spanning 18 million acres. The process involved extensive deliberations with a wide range of interests—more than 1,200 meetings and more than 120 different groups, according to staffers, as one of Bishop’s aides racked up more than 65,000 miles on his Nissan Versa traveling from one meeting to another. The lawmakers may introduce a bill this month, and earlier drafts set aside four times as much land for conservation as for development. But those proposals have drawn sharp criticism from environmentalists and tribal leaders, in part because they give state and local officials greater say over managing federal lands and redefine what activities can take place in protected areas. And a coalition of tribal groups — including representatives from the Hopi, Navajo, Uintah and Ouray Ute, Ute Mountain Ute and Pueblo of Zuni — abandoned what had been fitful negotiations with Utah Republicans in December, saying they were not given a proper voice in shaping the deal. Leaders of the tribes, some of which had warred against each other in the past, said they have found a common cause because of their spiritual and historical connection to the area. A nonprofit Navajo group started pressing for federal protection six years ago, but tribal leaders say the state’s current members of Congress haven’t given them as much say as the late Sen. Robert Bennett (R-Utah), who started the talks. Kenneth Maryboy, who at the time served as one of San Juan County’s three commissioners, attended a listening session with the two lawmakers and members of the community where one rancher openly scoffed at the idea of recognizing tribal claims. “The damn Indians don’t need another reservation,” Maryboy recalled the rancher saying. One prominent Navajo backs the congressional approach. Rebecca Benally, a Democrat who defeated Maryboy and sits on the county commission, argues that the federal government cannot be trusted to properly manage a monument. Lyman, a critic of both the national monument proposal and the lawmakers’ broader lands bill, lives in Blanding, the town his great-grandfather helped found a century ago. Walter C. Lyman and other Mormon pioneers came from southwestern Utah in the arduous, six-month Hole-in-the-Rock expedition and first established the town of Bluff, which abuts the proposed monument designation. After repeated flooding ruined the settlers’ crops, Lyman managed to bring water onto White Mesa, about 25 miles away, and most of the settlers relocated. When Lyman discusses his disputes with federal officials, environmentalists and some Navajo activists, he cites historic markers such as the 1865 law Abraham Lincoln gave Utahans, granting the right-of-way to build roads, and a 1933 agreement county leaders forged with the Navajos that gave them 500,00 acres south of the San Juan River, which is now part of a reservation that spans multiple states. At this point, Native Americans — mostly Navajos and some Utes — make up 46 percent of San Juan County’s population. The county’s unemployment rate is more than double the state average, and about a quarter of county residents receive food stamps and medical assistance. And the fossil fuel and mineral extraction that once drove the local economy have dwindled: The last time a rig drilled a hole in the county was February 2014, according to the oil service company Baker Hughes. Escalante National Monument after Bill Clinton designated it in 1996, as well as other sites that received similar presidential recognition. Friends of Cedar Mesa Executive Director Josh Ewing, who has sought to broker a legislative compromise, noted that Utah’s “Mighty Five” advertising blitz touts four national parks that were initially protected under the Antiquities Act. Last week Herbert and Hatch held an event at one of those well-known sites, Natural Bridges National Monument, to reiterate their opposition to another presidential designation in the state. “It’s the sort of thing that will die down quickly,” said Ewing, an avid rock climber who regularly scales the area’s canyons and cliffs. Still, Hatch was concerned enough that he warned Interior Secretary Sally Jewell in a private meeting in his office on March 8 that a repeat of what Clinton did 20 years ago could prompt an armed confrontation. Obama was briefed on the conversation with Hatch, according to several individuals, and instructed his aides to continue exploring the possibility of designating a monument. Jewell plans to visit the area this summer, and no final decision has been made. Breaking news about local government in D.C., Md., Va. But Obama pledged in November that his administration would “review tribal proposals to permanently protect sacred lands for future generations.” Those who have spoken to him about it, including presidential historian Douglas Brinkley, say Obama “keenly wants to do some things [recognizing] Native American culture,” and the proposal meets that test. Jonah Yellowman, who was forced at age 6 to attend a boarding school in New Mexico where he was physically punished for speaking his native language, is waiting for that sort of recognition. Yellowman walks easily along the landscape, pointing out where he collects firewood and the plants Navajos use to camouflage their faces in one ritual and scent sweat lodges in another. Both Anglo and Navajo politicians have disappointed him before — Yellowman doesn’t have running water or electricity at his remote home near Monument Valley, where iconic Westerns were filmed decades ago. He thinks the tribes have started a movement that can succeed.